Other than softball season, I don't make it out to Kitsilano very often. However, we were in the neighbourhood and an eating opportunity awaited us. From all the great choices, we settled on Hi-Nippon. Huh? Seriously? Yes, we did. Why? Well, the kiddies like cooked Japanese food and hence, they held the trump card. Believe me, we tried to find something more interesting. Driving up Arbutus almost to Kerrisdale, then down Broadway almost to UBC, we couldn't decide on something. Finally, we just gave up and parked in front of Hi-Nippon. Don't get me wrong here, I have nothing against the place. It's just that when we have to settle on plan D or E, the excitement just isn't there. By virtue of arriving pretty early for lunch, we got one of the window seats which allowed for good lighting. Believe me, Japanese restaurants and good lighting generally do not fit into the same sentence. 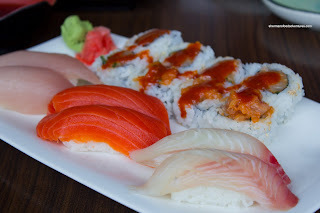 Feeling less than inspired, I pretty much ordered whatever, beginning with a sushi combo which included a Spicy Tuna Roll and 2 pieces each of tuna, salmon and tai Nigiri. We found the sushi rice to be rather dry. 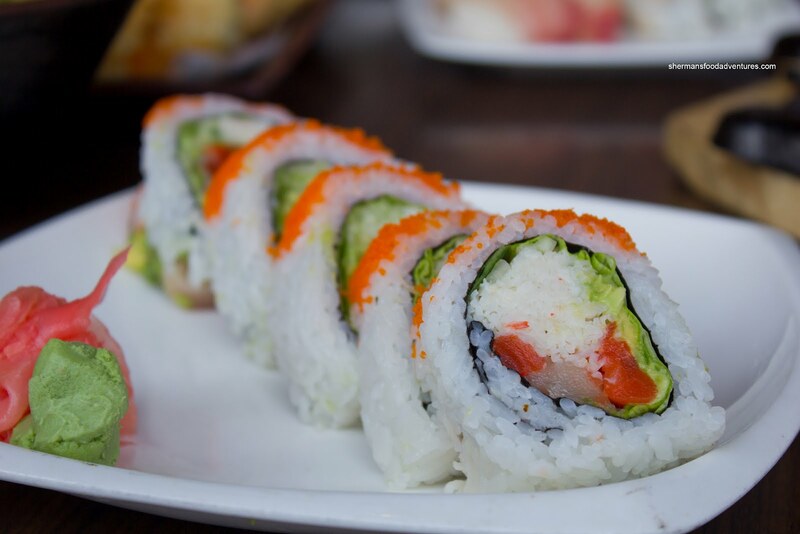 On the other hand, the conservative use of the rice in the roll helped alleviate some of the textural issues. The rice was somewhat flavoured which also helped the cause. The fish was pretty good except for the tai (snapper). We realize that it is a chewier fish, but this was unusually tough. For good measure, we got their House Roll as well. Again, there was not a lot of sushi rice and plenty of filling (well, mostly imitation crab meat). Not a bad roll in the grand scheme of things.We had to get our usual order of Assorted Tempura because our kids love it. I mean they love the batter. 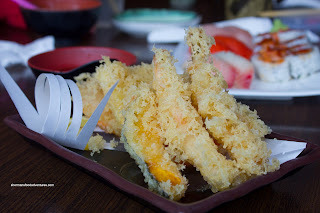 Maybe we should just get them to give us a plate of tempura bits next time... Anyways, the tempura was light and crisp, however it was greasier than a Chinese kitchen floor. There was literally a pool of oil on the plate. Furthermore, the ebi was gummy and not that appealing texturally. Now for the fail of the meal - the Tonkatsu Don. 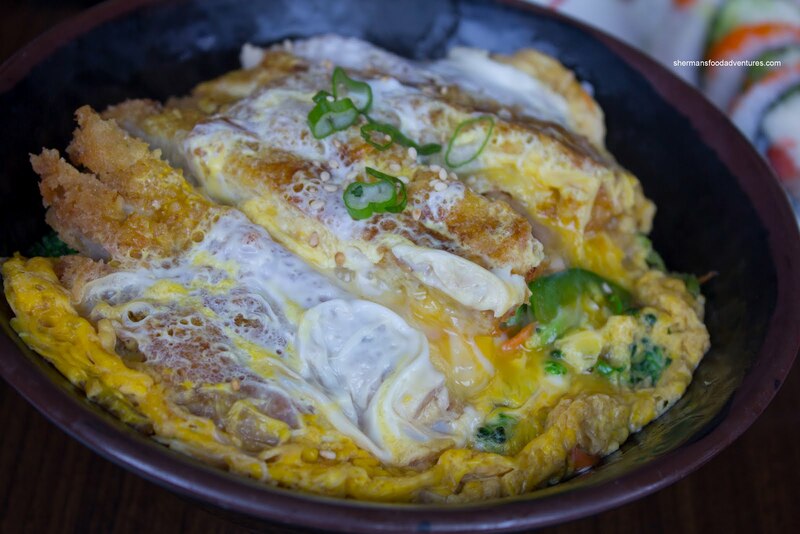 On appearance alone, it looked good with a huge pork chop and egg on top. But much like Jay Davidson in The Crying Game, wait... bad analogy... Okay, the pork chop was actually soggy, dry and chewy all at the same time. In fact, the coating slid off the pork. Furthermore, the pork and rice were not that flavourful except for some sweetness.The dish we got for the kiddies turned out much better. 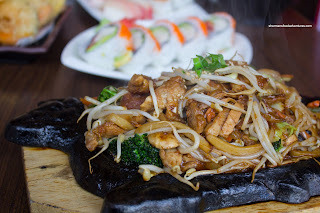 Arriving sizzling and bubbling, the Chicken Yaki Udon exhibited good caramelization and did so further on the hot plate. We liked how it wasn't wet where no liquid could be found on the bottom. Also, the noodles were chewy and well-seasoned. There was a good noodle-to-vegetable ration as well. The chicken was not exactly prepared properly though because the batter was mushy and clumpy.Hi-Nippon, to me, is somewhat of a curiousity. Looking at some of the reviews online, one would conc lude that the stuff is fantastic. This was hardly the case. I wouldn't say it was bad per se, however, there is much better elsewhere. Funny thing is that all the food looked the part, but some just didn't cut it. I thought the sushi was much better than the cooked food. So it is quite possible a better overall experience could be had if one stuck with the sushi and sashimi. Ya coulda gone to Romers. Or Flying Tiger. Or Hitoe Sushi. All are kids-friendly, IME. 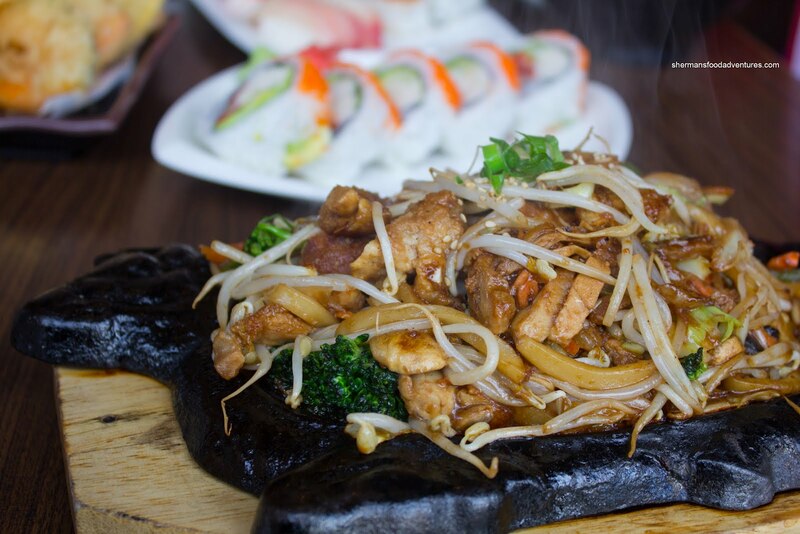 At least you didn't go to BC Sushi or Temaki at Broadway/Arbutus [shudders]. 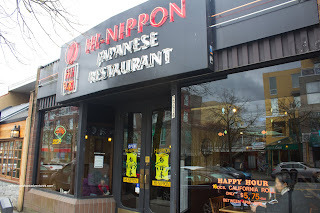 Haven't gone to Hi-Nippon since, well, we lived in Kits/McKenzie Heights which was a long time ago. I must say I'm surprised they're still there, that's saying something I guess.